← The Lady Of The House. Joered has this fascinating post up in her blog on Jazz Homophones. My comments there elicited her very educative and informative response which taught me a couple of things too. The post inspires me to come up with a few homophones in a lighter vein of names with which my readers are quite familiar. My name Ramana has not only a homophone Ravana the latter is also somewhat an antonym. Raavana, the correct pronounciation is the enemy of Lord Rama in the Indian epic Ramayana. Ramana is another name of Vishnu whose avatar is Rama. My grand nephew Arjun who lives in the USA cannot pronounce my name but has been listening to the Ramanyana from his parents and grand mother for quite some time and insists on calling me Ravana. My nickname Rummy is capable of producing some fascinating homophones notably Dummy. Similarly Rum has many and I leave it with my readers to come up with them. My son’s name is Ranjan. It means Delight. A homophone is Manjan meaning dentifrice! My daughter in love’s name is Manjiree which means the flower of the holy plant Tulsi. A homophone is Manjari which means a collection/anthology. I am always fascinated by homophones particularly of proper names and while I can go on and on about them, I have resisted the temptation to and have just commented on my immediate family besides my own name. I however cannot resist one temptation. When I was in school, I had a classmate whose name was Faazal Haque. You can imagine what homophone that he was very affectionately called by his classmates. This entry was posted in Blogging, Humor and tagged Tulsi. Bookmark the permalink. 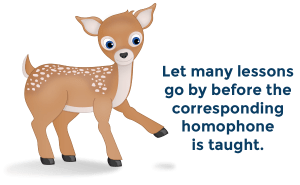 2 Responses to Homophones – Names. I’m puzzled. The pronunciation of a lot of your pairs aren’t the same. Am I missing something? You must try and pronounce as an Indian would. Please see if you can find some one from our large diaspora there!